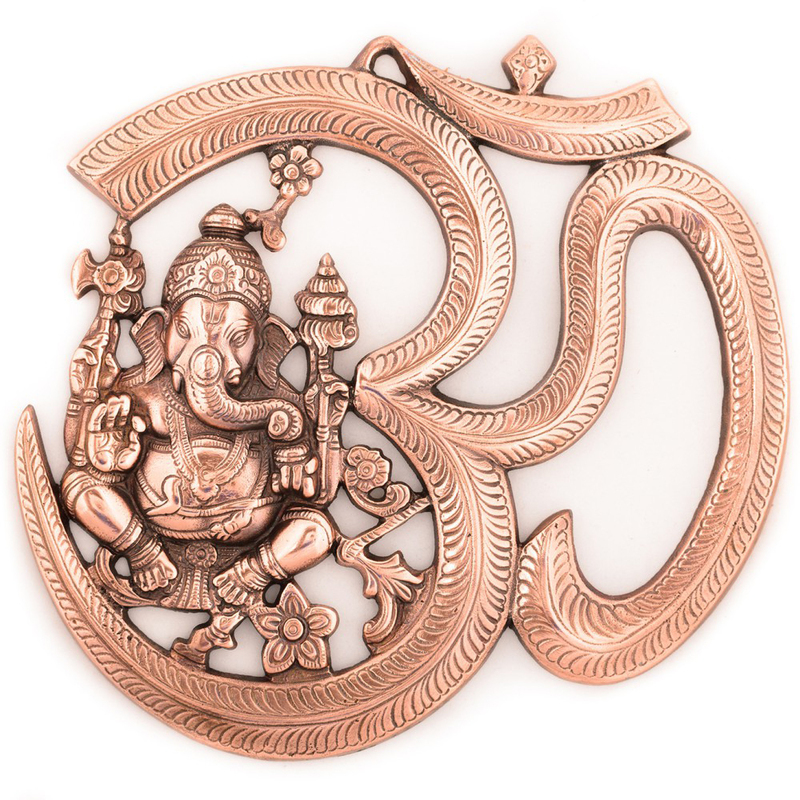 The beautiful metal wall hanging of Lord Ganesh with OM symbolizes spirituality and grace in your home. 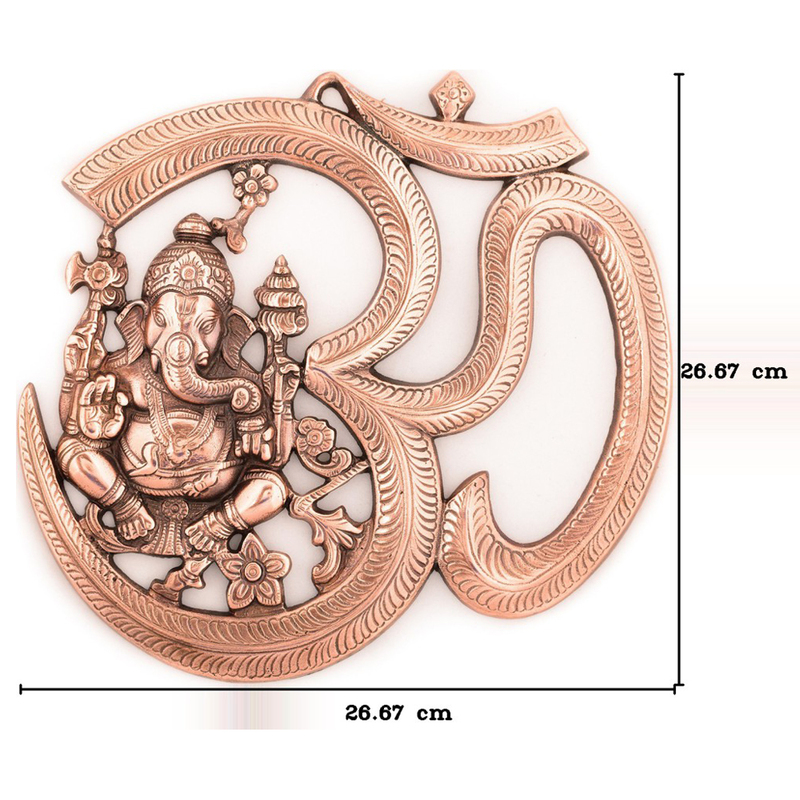 The bronze color of the status gives the Read More..wall hanging an appealing visual look and taste to it and it once again proves the skill of the artisans who can create a small statue with so much of intricate details within it. 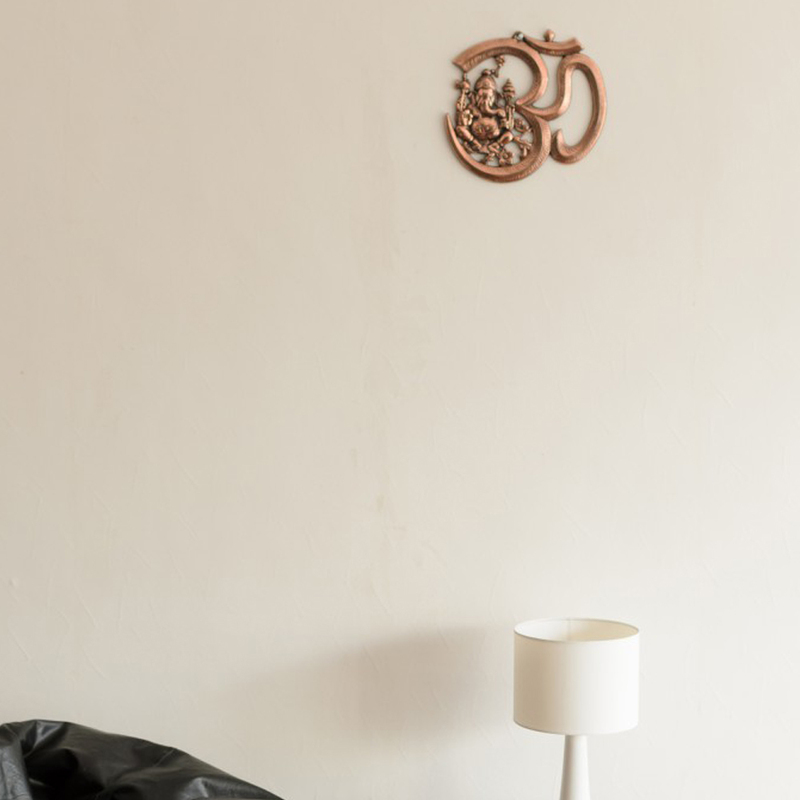 The wall hanging will give an ethnic look to your room and the metal finishing makes it durable as well. This wall hanging would also help to serve as a great gift in this auspicious occasion of Ganesh Chaturthi. Show Less..